Discussion in 'Videocards - AMD Radeon' started by primetime^, May 29, 2017. 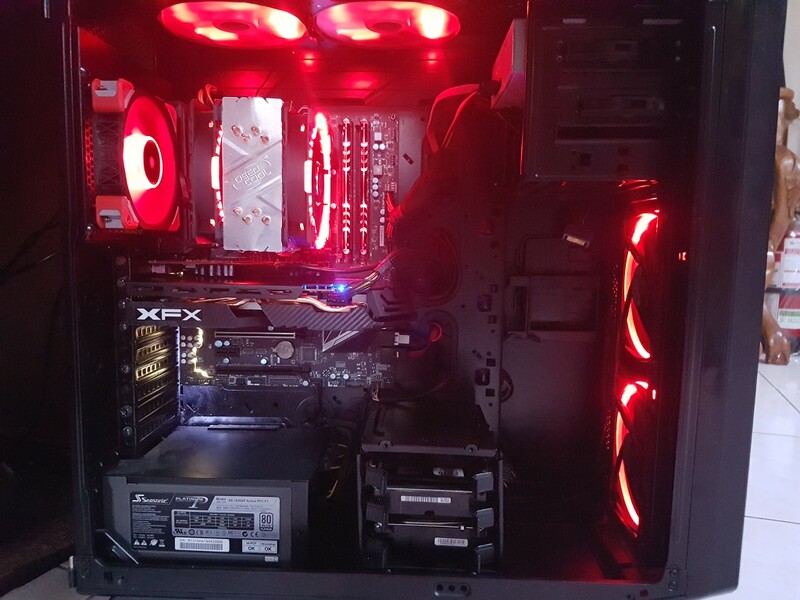 Finally changed out my ancient 280x (7970 originally) for a new rx580 purchased local at BestBuy for $259....Both cards are almost exact same size and even have same power hookups lol..I dropped in a new power supply last week to be one the safe side with good rails. Replaying Mankind divided on ultra settings is pretty cool! Anyone else upgrade to rx580? I wish i did. Having some other expenses so im still saving up for the some future upgrades. btw man, the card looks nice. Its a good upgrade over 280X. I would rather go with RX580 Nitro+ but i understand its little bit more pricy. I upgraded from HD7870 to Sapphire RX 580 8GB, plays everything on max with aa, and having finally that large 8gb frame buffer it's amazing. GTA V uses around 5GB and Mirror's Edge Catalyst & Rise of the Tomb Raider around 7GB(gtx1060 is usseles in 1440p ). I play all games in native 1440p so it's great 1440p card. But one more thing that amazes me is that picture over all is much sharper on Sapphire RX 580 than on ASUS! I use a lot of Photoshop(I switched cards back and forth)and it's definitely not a placebo. Yeah I was suprised as well...I was using MSI Gaming X RX 480 before and can only do 1400 before becoming unstable.. The Ryzen 5 1600 @ 3.9ghz and RX 580 @ 1525 destroyed the i7 7700K @ 5.1ghz and RX 480 that I was using before on FireStrike.. 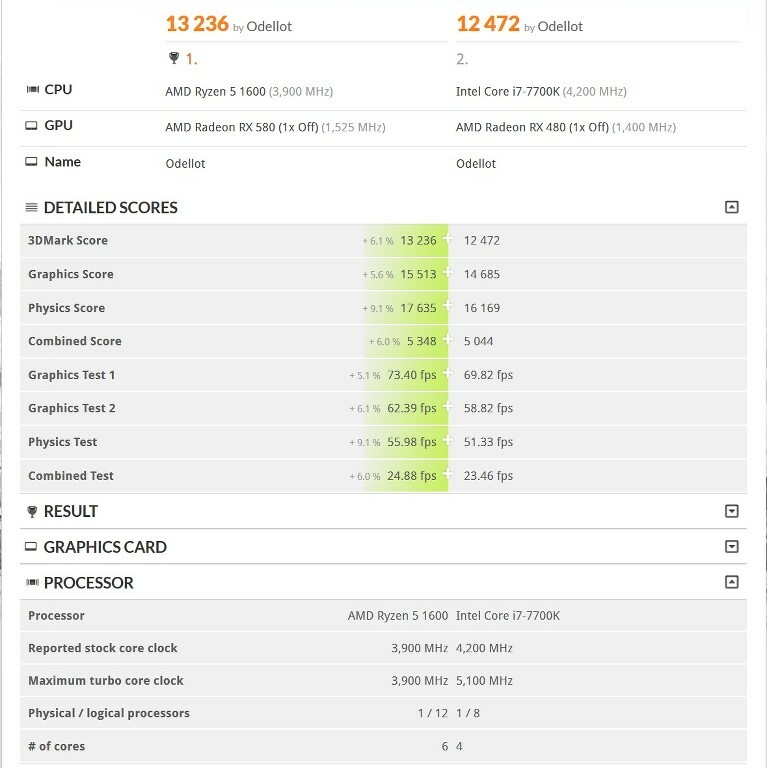 The issues i have run into is related to tdp or power i guess.....Cause i have run successful benchmarks and games at 1500mhz clocks and got good scores....other times it appears to be lower performance than say 1450mhz...its like to a point the higher clocks helps but only to a point....after that it just performs lower..
Whats the best tips for maintaining max performance for these cards? Temps are not a problem either...its rare the card hits 70 degrees unless doing a very long gaming run and even then its not bad....the coolers on these appears to work very well on the gpu and vrms. 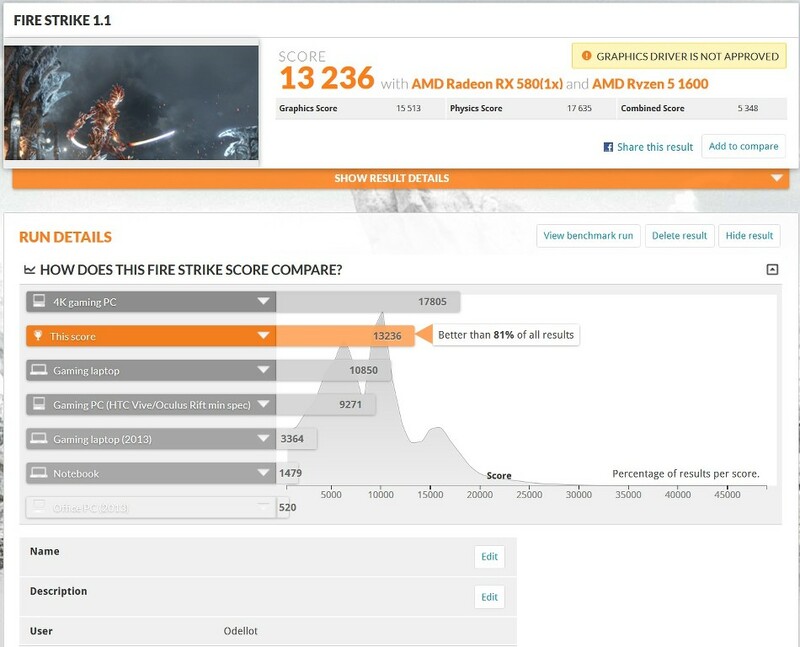 http://www.3dmark.com/fs/12793539 my firestrike ultra scores seem to outscore a 390x....not bad right? I've just bought this card RX 580 XFX Black and temps are 80-85 load with no OC ... I wonder what is the problem with my card ?! 2) What Case / Airflow you have?